Hit the trails with our Ride On design. 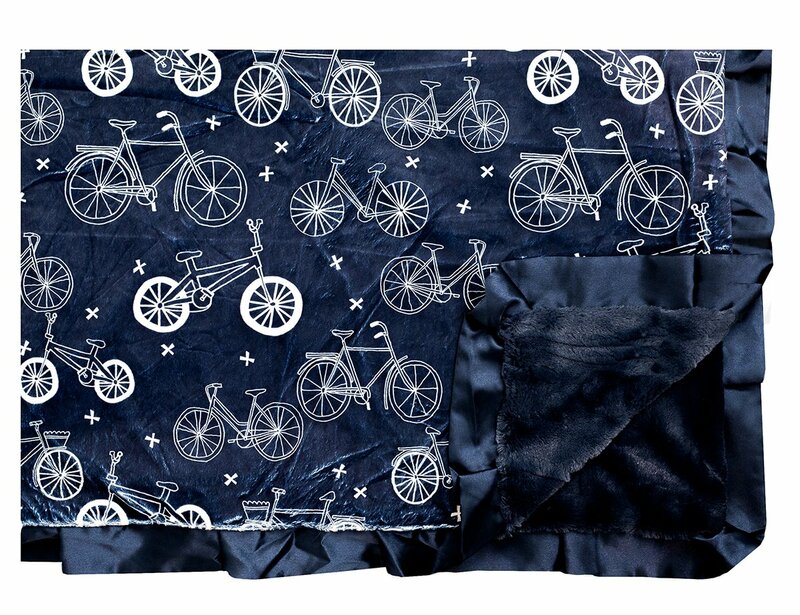 Navy background with hand-drawn bicycles in white. Navy blue minky back and satin ruffle. Ride On is an exclusive design and can only be found at Minky Couture.